J’s Maintenance is proud to support local schools, charities and other organizations across our service area. As part of our continued commitment to supporting community, J’s Maids, a division of J’s Maintenance is proud to support a local mountain bike team from Clark Magnet High School. The Clark Magnet High School Mountain Bike team brings riders and non-riders into a sport that builds strength, coordination and confidence in a supportive competitive environment. Coached and run by volunteers, the team competes against other high schools from across the state during their spring racing season. J’s Maids is happy to provide financial support to unique programs that aren’t normally funded through traditional sources of income. We are very proud of the entire team and their coaches. 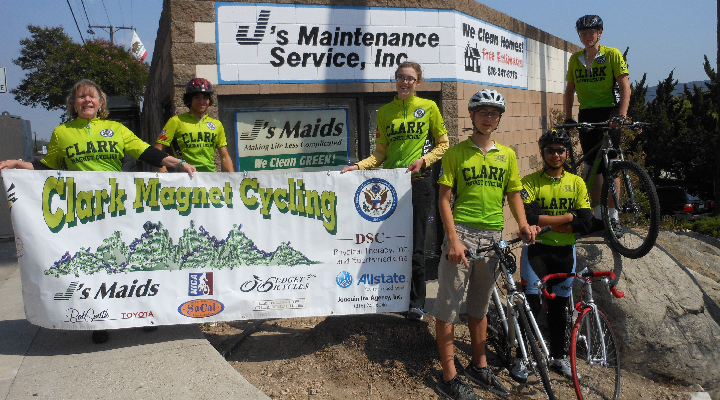 Visit the Clark Magnet High School Mountain Bike Team Facebook Page to learn more about the team.